KRABI: Representatives from 11 private and government sector organizations met in Krabi yesterday to reiterate their stance against the construction of a coal-fired power plant, which they say will adversely impact the quality of life for locals and cause billions of baht in tourism losses. Officials from the Krabi Chamber of Commerce, Krabi Tourism Council of Thailand (TCT), and Krabi Tourism Association were among those present at the meeting. “This is totally against the government’s own initiative of ‘Krabi Go Clean’. 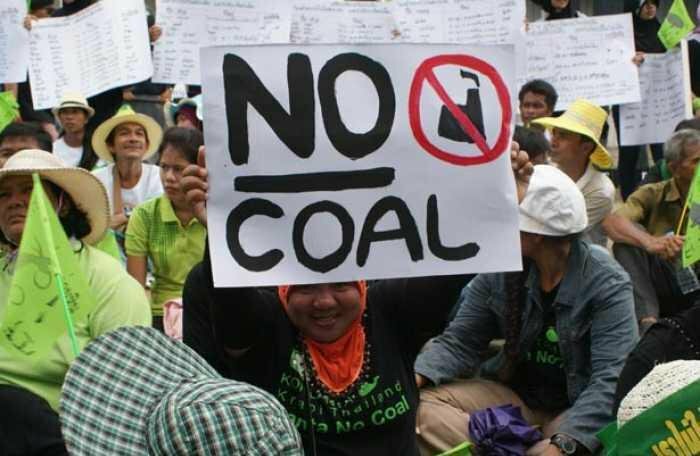 Since the coal plant project was first tabled by the Electricity Generating Authority of Thailand (EGAT), opinion has been divided about it. However, most of the private sector organizations in Krabi are against it. We don’t mind a power plant, just not a coal plant that will ruin the environment and drive away tourists,” said Amarit Siripornjuthakun, head of the Krabi TCT. The location of the plant is reportedly part of the wetlands protected under the Ramsar Convention, an international treaty for the conservation and sustainable utilization of wetlands, and was marked out as a protected zone in 2001, The Nation reports (story here). “If the coal plant becomes a reality, it will affect tourism for sure. Tourists came to Krabi to breathe fresh air and see unspoiled natural beauty – not to breathe in black smoke and ruin their health. EGAT said they will help those who live within a five-kilometer radius, but what about the rest of us?” Mr Amarit said. Plengyos Sakonkittiwat, head of the Krabi Chamber of Commerce, said that Krabi locals earn more than 80 billion baht from tourism, and about 40 billion baht from agriculture every year. “Both our main revenue-earning professions will be badly impacted and billions of baht will be lost. We are collecting signatures to submit a petition to the government to halt this project and build something else that does not affect the environment,” said Mr Plengyos. The plant has drawn much resistance from locals and environmental activists over the years. In March 2014, Greenpeace members staged a dramatic protest by hanging from the cliffs of Railay Bay in Krabi (story here). Others, including the Koh Lanta Tourism Association, local residents and even fishermen, have joined in the fight by showing up in the hundreds at public hearings, with some even protesting that the meetings were ‘set-ups’ and that locals were not being heard. Despite attempts from EGAT to push the project forward, Prime Minister Gen Prayuth Chan-o-cha ordered the hotly-debated project to be put on hold until a joint committee could ensure that all steps of the pre-construction process had been legally carried out (story here). In March of this year, the project’s Environmental Impact Assessment (EIA) report was rejected amid pressure from the ‘Protect Krabi Network’ (story here).